The marketing research process is the first step any successful brand takes to determine how to direct their marketing efforts. This allows businesses to get a read on their industry, competitors, target audience, and general business environment, while clarifying their marketing strategy. Unfortunately, many companies do not have an established research process that enables them to research their customers, competitors and other key variables. In this article, we will cover how to conduct an effective marketing research process in five simple steps, so that your company can begin meeting your marketing objectives immediately. Keeping tabs on your competition is an essential first step in the marketing research process. As your competitors are constantly trying to compete for your customers attention, you need to put in the time and effort required to provide the best quality product and service possible and to help you gain a competitive edge. This starts with analyzing your competition, setting benchmarks, and determining a marketing game plan that will allow you to outpace your rivals. Start by visiting your competitors’ websites or social media accounts to learn more about how they do business and how they market themselves online. Also take advantage of other sources of valuable information. Using your customer base as a reference can give you a great deal of insight about your competitors. Finding out what businesses your customers have used in the past and why they have chosen their products and services can tell you a lot about what your company may be missing. Additionally, find ways to seek out information about your competitors offline as well. Attend an industry conference or trade show and get to know your competitors in person. Visit their booth, interact, and check out the quality of their products or services. Take notes on their strengths and weaknesses, learn how they operate effectively, and how they cut costs. With search engine algorithms constantly changing, you must be up to date about the best ways to optimize your website and make your online content visible and accessible for your audience. Keyword research is among the best ways to draw in an audience and qualified leads to your site and content. Keyword research involves searching for and determining industry specific keywords that your target audience is using to research your products and services on the web. When performing keyword research, you will want to create a list of important, relevant topics that reflect your brand. You can then use various tools and information from the web to match your original list of keywords with valuable others that rank high in the search engines results pages to attract interested customers to your content. One major component of keyword research is the ability to target your most valuable keywords. Finding the best keywords for your niche can ensure that your website remains well-optimized for search engine traffic. While there are a variety of tools online that can generate a list of terms, this is not always the best option when performing marketing research. You will want to refine your niche keyword list so that it is specific to your business, your website, and your overall brand. Remember: you want to use keywords that are most likely to be searched by your target audience. Once you have narrowed down your list of target keywords, you will want to determine how competitive your keywords or key-phrases are. The more common a keyword is, the more competition you will have in the search engines, and the more difficult it will be to rank higher in search engines for them. Make use of various online tools to help you better understand search engine algorithms. Tools such as Ahrefs can help you better determine your niche’s most popular keywords. 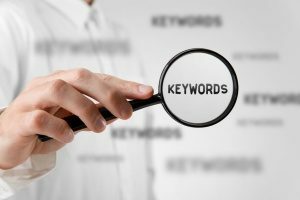 Once you have found the best keywords for your website, you can begin to tailor your content around those keywords. Marketing starts with understanding your customer. You want to key in on identifying what their interests are, what they are looking for, what content resonates with them, and where they find information online. By conducting market research, you can discover who your customers are, segment them into groups, and create targeted content and conversion funnels that can lead to successful sales conversions. Establishing a target audience also allows you to focus your marketing efforts on the smallest viable audience and expand from there. This is a much more affordable and efficient way to attract potential clients, rather than marketing to all types of people. Remember that you cannot target everyone. Even groups such as stay at home moms for example, can be too large of an audience. Focus in even more. Instead, target middle-class stay at home moms of newborns who live in Northern Virginia. Once you have significant traffic in one geographical or demographical area, you can begin targeting other audiences. Whether you are trying to see how your content is running, how people are clicking through on your website, or which emails are getting the most opens, data is ubiquitous and you can track it all to determine how well you marketing campaigns are performing. However, while having a compilation of data is often a good evidence to have, too much information can make it difficult to make good decisions about how your marketing is progressing or what to focus on in the future. Data analysis is a strategic tool that can be used in conjunction with your market research to better help organize this information. The data analysis process involves several components. Start by defining the questions that you want answered. These questions should be clear and measurable. Next, consider what type of data or metrics you will need to answer your questions. Also, ask yourself what your time frame will be, which KPI’s (Key Performance Indicators) you will use, and what other factors should be included. The next step is collecting the data. As you collect your data, keep it organized in a spreadsheet. This will allow you to better analyze your data as needed. The final step of the data analysis process is to interpret your results. When interpreting your results, answer your original questions and see if there are any limitations to your conclusions. Also consider any new angles that could help you in your market research. 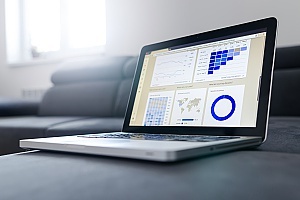 By working through all of the steps in the data analysis process, you can make better decisions about your marketing campaigns moving forward. Market research is a useful tool that can help your business acquire a deeper understanding of your customer base, competitors, overall business performance, and how to proceed in your marketing efforts. However, the marketing research process can often be long, complex, and inefficient for many business professionals who may lack the necessary experience to achieve their goals. 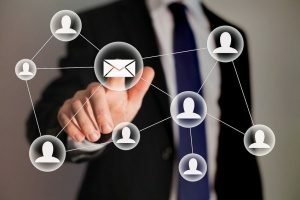 Fortunately, there are experienced professionals who can guide you through the marketing research process and provide unique insights to assist you. For more information about the marketing research process or how to outsource your efforts to an experienced digital marketing agency, contact 321 Web Marketing today.